BAY FRONT CONDO WITH OCEAN VIEWS IN SW LINCOLN CITY! Custom designed remodel of cabinetry, interior doors, flooring, lighting, kitchen & bath sinks hardware, counter tops, decorative accent wall tiles throughout, & custom closet inserts for maximum storage. W/D hook-up. Wood burning FP for warmth & ambience on chilly beach days. 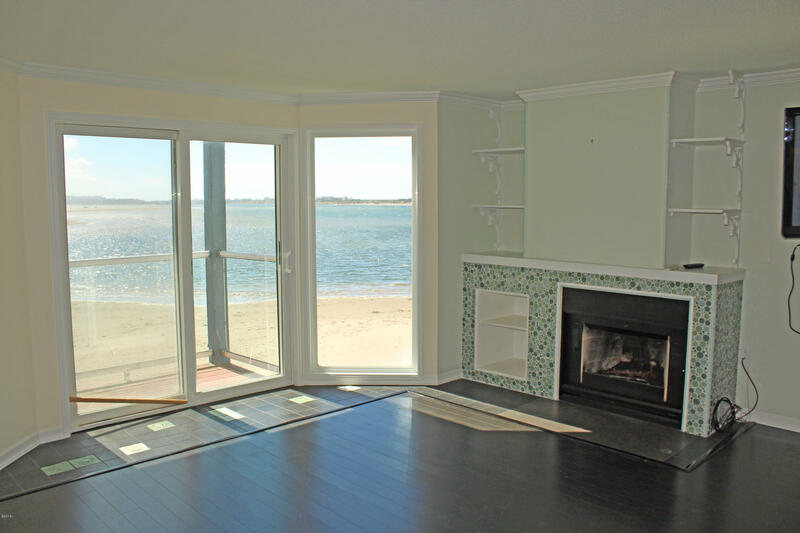 2nd floor location provides expansive front row views of Siletz Bay with added bonus of ocean views from the attached deck. Sandy beach to play on, bay to swim & kayak in, dig for clams at low tide, really short walk to food, shopping, art & entertainment. This condo has it all!! © 2019 Lincoln County MLS. All rights reserved. Information deemed to be reliable but not guaranteed. The data relating to real estate for sale on this website comes from Lincoln County MLS and the Broker Reciprocity Program.sm. Real estate listings held by brokerage firms other than Lincoln City Realty, LLC are marked with the BR logo and detailed information about them includes the name of the listing brokers. Listing broker has attempted to offer accurate data, but buyers are advised to confirm all items. Information last updated on 2019-04-23.